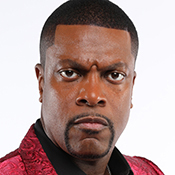 Comedy Works Downtown welcomes Chris Tucker performing August 16th to the 18th. Chris Tucker is an international award-winning actor & comedian best known for his roles in the Rush Hour film series. He became a favorite on Russell Simmons’ HBO Def Comedy Jam and came to prominence in his first starring role in the film cult classic Friday. Tucker co-starred in the Oscar nominated film Silver Linings Playbook. His first stand-up film, Chris Tucker Live, was released exclusively on Netflix. Tucker is currently on a successful U.S. and international comedy tour.